WAGA-TV in Atlanta takes a look at Sean Forbes career in this video about the Detriot rapper. Here more of Sean's music here. A bill before the North Carolina state legislature would require a state licensing organization to come up with hearing aid guidelines to protect buyers. Supporters of the bill say research shows many people don't know what to ask when buying a hearing aid or what to do after the purchase. For instance, most people do not know to ask for a 30 day trial period even when buying from the Internet. The Hearing Aid Dealers and Fitters Board would lead a task force to draw up the guidelines if the bill passes The board already reviews complaints and can reprimand members or issue cease-and-desist ordera carrying penalties. A 5k walk-run in support of the Rochester School for the Deaf takes place Saturday in Rochester. You can register for the 2nd Annual RSD River Ramble here. The Deaf Emerging Artists Festival takes place in New York City starting tomorrow through Sunday at the IRT Theater. There will be performances, screenings and workshops aimed at creating common ground for Deaf and hearing artists. For more information go here. A video posted on YouTube shows Tampa Bay police officers kicking a deaf man laying on the ground. Three plain-clothed officers can be seen kicking 26-year-old Jacob Cowie. A uniformed officer arrives and joins them. The officers say their action was justified because Cowie did not comply with commands during the February altercation. But he could not have obeyed them, his attorney says, because he is deaf. Cowie's lawyer says the men approached from behind and he did not know they were police officers. A charge of disorderly conduct against Cowie was dropped. He has filed a lawsuit and an Internal Affairs investigation is underway. Watch a report from WTSP-TV here or watch the video tape of the kicking that has surfaced on YouTube below. California's Senate is considering a bill that some advocates say would allow those with financial interests to dominate the process of giving parents information about deaf newborns. Bill AB 2072 was in introduced by Tony Mendoza. It is being opposed by the California Deaf Newborn Identification & Advocacy Stakeholder Coalition. The group advocates ASL and believes oralists are behind the legislation and it would discourage teaching ASL early. They say a brochure to be distributed to parents published by manufacturers and vendors of implants would steer them toward the devices by suggested children can easily learn to hear and speak through implants. The group also objects to the place given in the bill to audiologists, who would serve as first providers of information to parents of newly identified deaf children. Read more about the bill here and more about the opposition group here. Sign language interpreter Tina Riner died May 13, six days after falling from a horse. The 38year old interpreter for hospitals and in legal situations in the Dade City, Florida area. Riner deterimined to become an interpreter in the 4th grade when she saw a sign language interpreter for the first time. After attending Stetson University, Riner went to Gallaudet University where she became certified in sign language. A memorial reception will be held at in her hometown of Naples on June 16th. German designer Frederik Podzuweit believes he has a new device that can tap into the deaf's ability to feel music. It's called Music for Deaf People and converts audio into vibrations, triggering the parts of the brain that deals with hearing. The collar allows users to listen to music through the skin. 70% of Gallaudet's class of 2008 had a job within a year, which is only slightly below the national average of the National Association of Colleges and Employers. A Federal appeals court has reinstated a patent infringement lawsuit against Cochlear that was dismissed by a lower court. The Alfred E. Mann Foundation for Scientific Research lawsuit says the company improperly used its cochlear implant patented technology. Cochlear had argued that the Foundation had no right to sue because it had licensed its patents to another implant maker, Advanced Bionics. Cochlear said only Advanced Bionics could go to court over the issue. While a district court agreed with Cochlear, a federal appeals court in Washington sided with the Foundation. A deaf center is celebrating its 20 year anniversary with the grand opening of a new facility. The Southwest Washington Center of the Deaf and Hard of Hearing in Vancouver, Washington was given nearly half a million dollars by philanthropist Jack Artz who died in 2008. The facility built with the donation is now open and offers communication access, training, case management, advocacy, peer counseling, and a place for social events. Another donation he made created the Artz Communication Center for the deaf in Seattle. Three-out-of-four Gallaudet graduates during 2008-9 had internship experience. The national average is only about half, according to Gallaudet career counselor Daniel P. Veit. A British scientist has infected himself with a computer virus. Cybernetics expert Mark Gasson wanted to show how implantable devices, like cochlear implants, are susceptible to computer viruses. The University of Reading researcher used an RFID (radio frequency identification) chip implanted in his wrist infected with a benign computer virus. The chip operates like an internal swipe card, allowing him to access parts of the university laboratories by waving his arm. The virus can replicate itself on his colleagues swipe cards if they access the panels where he swiped his arm. Gasson is worried that computers could the infect implant devices they communicate with or vise versa. A denial-of-service attack on a cochlear implant could be a serious problem. The struggles of mother to find services for her deaf daughter in Georgia and the lawsuit she has filed against the state is explained here in an article from the Atlanta Journal Constitution. Here is a video about job prospects for deaf graduates, focusing on Gallaudet University, put together by Ashley Marchand for the Chronicle of Higher Education. The inaugural West Coast Haunters Convention was held in Salem, Oregon over the weekend. The three-day event at the Oregon School for the Deaf drew several hundred people. The school already presents the Nightmare Factory each year. After 21 years, the Halloween week event has become the school’s biggest fundraiser, pulling in 8000 people last year and taking up some 12,000 square feet of the space. Read more about the West Coast Haunters Convention here. A monument at the Prairie City Cemetery in Lawrence, Kansas was put up two years ago to honor Luther "Dummy" Taylor. He was buried there in 1958. Taylor's family and a group of fans in the area have raised $2400 to put up a new marker. The former major leaguer pitched eight seasons for the New York Giants in the early 1900s. He was a member of the team when the Giants played in the 1905 World Series. Teammates learned sign language so they could communicate with Taylor and the Giants made make sure he was included all the team’s activities. KRDO-TV in Colorado Springs reporst on reported federal video relay cutbacks. WVIR-TV in Charlottesville profiles a deaf graduate of the University of Virginia here. The Galesburg, Illinois fire department says strobe lights are not effective when it comes to smoke alarms for the deaf. Captain Dan Foley says strobes fail to wake up nearly half of users who are deaf. Foley recommends an alarm with the low frequency in the 520 Hz range such as the Lifetone alarm. Rather than detecting smoke, this detector detects other detectors. The first deaf graduate of the University of San Diego gets his degree today. John-Paul Damante is from Valley Center, California and has earned a degree in communications studies with a minor in theater arts. Damante will next intern at KESQ-TV in Palm Springs. Convo relay offers its take on proposed changes by the FCC to Video Relay here. or watch this ASL video explaination. Republican Kentucky Senate Candidate Rand Paul is criticizing federal disability law. The tea party activist and son of Congressma Ron Paul says he believes both the Americans with Disabilities Act is an example of the federal government exceeding its authority. Here's a quote from an interview he gave to National Public Radio. Kentucky Attorney General and Democratic nominee Jack Conway told CNN that Paul's view on ADA as a "very callous" and "outside of the mainstream." Ohio State University Instructor explains her love of ASL in the school's student newspaper here. A lawsuit against the state of California claims officials have failed to properly accommodate the hearing disability of its 1500 deaf and hard of hearing employees. Among the complaints: failing to provide interpreters during meetings, job training and performance reviews and inadequate evacuation procedures. The suit is asking for money, just improved working conditions. Kansas School For the Deaf students got to play and pretend in a real courtroom. KCTV in Kansas City has this video report. Congress hold a hearing next Wednesday on legislation that would require all Web vendors, tech companies and phone manufacturers to adapt their products for deaf customers. The Equal Access to 21st Century Communications Act would force all smartphones (like the iPhone and BlackBerry) to be compatible with most hearing aids. DVRs and mp3 players would have to support closed captioning. Democratic Senator John Kerry is co-sponsored along with Arkansas Senator Mark Pryor. They are calling the measure a technological addendum to the Americans With Disabilities Act. Part of a $800,000 grant will go to research on software for the deaf. The money comes from the US National Science Foundation and will support the work of six Queens College science and math professors’ research. One of the researchers at the Long Island school is computer science professor Matt Huenerfauth who has been recognized for his research on improving assistive technology for people with disabilities. He'll study how to design computer programs to translate English text into on-screen animations of ASL. A groundbreaking ceremony will take place this morning at the Virginia School for the Deaf and Blind. Construction is about to begin for a new education building to house both the middle and high school students. The Staunton school will also open the renovated library and student center. Details about the efforts to grow hair cells at Stanford University are available in the school's student newspaper here and in the medical journal Cell. As reported last week by DeafNewsToday, researchers say they have created the first ever hair cells in culture. These cells have great potential significance because they could be transplanted to restore hearing in the ear or used to test drugs meant to work to restore hearing. The scientists say their work is on the track for long-run clinical significance. Cochlear implants will not help the elderly as much as younger adults. Researchers from the Medical College of Wisconsin in Milwaukee say people over age 65 will still see great improvement in their hearing from the implants, but the elderly patients will benefited less. Details of the study can be found the Archives of Otolaryngology - Head and Neck Surgery. Men are three times more likely to experience hearing loss than women, according to research presented by the American Academy of Otolaryngology (Head and Neck Surgery). Researchers attribute the disparity to occupational and recreational noise exposure, as well as service in the armed forces. Michelle Koplitz is Miss Deaf USA. The 2008 RIT/NTID graduate won the title in Washington, DC. She'll compete in the Miss Deaf International Finale in Las Vegas in July. She will graduate a week from Wednesday from John Hopkins Bloomberg School of Public Health with a master's degree in Health Education and Health Communication. Wachovia Bank has donated $25,000 to the South Carolina School for the Deaf and Blind to buy new tech tools for classrooms. WYFF -TV reports in this video. A Connecticut couple has filed a formal complaint with the state over how police in Derby handled a traffic accident. Wendell Hunte and Emori Tompkins are deaf and say they were not provided an interpreter and no statements were taken from them about the accident, even though witnesses verified to police that the couple was hit head on and the driver who was at fault left the scene of the accident. The couple says the officer ignored their request and instead asked questions of their hearing 5-year-old son. The city's attorney said officers didn't have time to wait for an interpreter and that Hunte and Tomkins never asked for one in the first place. 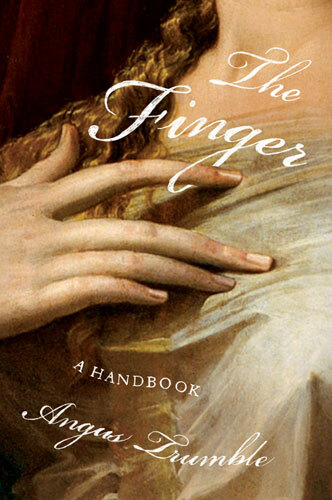 In his new book titled The Finger art historian and curator Angus Trumble says in the 10th-century sign language defeated the purpose of the vow of silence in Cluny, an area in Eastern France. "It soon emerged that some monks using the in-house sign language were as chatty, garrulous, and prone to gossip as they would have been if they were allowed to speak." "There have always been sign languages for the benefit of the deaf and mute, but sometimes there have been ritual bans on speech -- temporary or even occasionally permanent -- that made species of gesture not only necessary but indispensable. Not all of them were monastic in nature; married Armenian women in the Caucasus were prevented by convention from speaking to their husbands' male relatives, and solved the problem by adopting a convenient language of gesture." "When deaf infants are raised by signing parents, they learn sign language in the same way that hearing infants learn spoken language. But deaf children who are not born to deaf parents – the majority of deaf children – often have no access to sign language users as they grow up, and indeed are sometime deliberately kept from them by educators in the “oralist” tradition who want to force them to master lip readhing and speech. (Most deaf people deplore these authoritarian measures.) When deaf children become adults, they tend to seek out deaf communities and begin to acquire the sign language that takes proper advantage of the communicative media available to them. But by then it is usually too late; they must then struggle with sign language as a difficult intellectual puzzle, much as a hearing adult does in a foreign language classes." Scientists have said in recent years that stem cell research could lead to partial or complete cures for hearing loss. Researchers believe it is possible to take stem cells from the inner ear of discarded human fetuses to grow hair cells. The small sensory cells are essential for hearing. Up until now, there has been no treatmnet, medication or surgery to compensate for the loss of these cells. Because many people have moral objections to the use of cells taken from fetuses, an effort has been made to find another way to achieve the goal of growing new hair cells. Scientists at California's Stanford University say they've found one. Lead researcher Dr. Kazuo Oshima believes skin cells to create sensory hair cells. However, the technique may take a decade to perfect. The 141st Gallaudet University commencement is today, as hundreds of students receive their respective degrees. The Hooding and Commencement exercises will be webstreamed live. There's more information about the feed here. Maryland State Schools Superintendent Nancy S. Grasmick will be the commencement speaker. She recieved a master's degree in deaf education from Gallaudet in 1965. You may have seen claims that the video relay service (VRS) program is threatened. This is not true. The FCC is committed to ensuring the provision of high quality VRS to all individuals who need this service. The Americans with Disabilities Act (ADA) requires telecommunications access that is functionally equivalent to voice telephone services for people who are deaf, hard of hearing, or have speech disabilities. The FCC continues to believe that VRS is the most functionally equivalent form of relay for people who communicate using American Sign Language (ASL). We stand ready to meet our obligation to preserve and protect the VRS program so that ASL users and hearing people can communicate with each other over distances. This was the goal of Congress in passing the ADA and it continues to be our goal. Here are the facts: On April 30th, the FCC released a Public Notice (DA-10-761A1.doc) asking the general public for feedback on what VRS providers should be paid to handle VRS calls for the next year. The Public Notice seeks comment on reimbursing providers based on the actual costs that VRS providers themselves claim to have incurred over the past few years to provide VRS. The only way to safeguard the VRS program is to adopt reasonable rates for all forms of relay services. Thus, it is our goal to adopt rates that are rationally based on the reasonable costs of actually providing VRS. We welcome all comments on our Public Notice, and will take all feedback into account to determine the next VRS rates. The VRS program will continue to provide the excellent communication service that you need. The FCC says it is adjusting their rates to a "reasonable" amount. Sorenson offered this response to the FCC statement. The rates that the FCC is proposing will drive Sorenson, the leading provider of VRS, into bankruptcy. The FCC proposes to compensate Sorenson $3.89 per minute, while paying all other providers more than $5.77 per minute. Sorenson's real costs are nearly $6 per minute. As Sorenson has repeatedly told the FCC, the FCC ignores substantial, real-world costs that are essential to providing Sorenson VRS. The FCC is incorrect in its assessment of what would happen if it adopts its proposal. Sorenson understands completely the impact the proposed rate would have on its business. It would be disastrous for consumers. There are two different ways to test a newsborn's hearing. Otoacoustic emissions measure echoes from the cochlea when it is stimulated by sound by placing a tiny microphone into the ear of the sleeping newborn. The other option is automated auditory brainstem response testing, where a few small sticker electrodes are placed on the baby’s head to measure the brain’s response to small sounds. Sean Forbes now has the support of the record label that helped launch Eminem. Detroit's WJBK-TV has this video report on the deaf rapper. The most common cause of hearing loss in newborns is cytomegalovirus, an infection that may not cause any symptoms in a pregnant woman but can affect her developing fetus, especially if she contracts it in the first trimester. Hearing loss from cytomegalovirus can be severe, but may develop only after the child is born. Other causes: oxygen deprivation and medications. Before immunization, rubella was the major menace. In cases that do not involve a syndrome, more than 100 different genes may be implicated. A man was wounded near the entrance to the Rochester School for the Deaf yesterday and another man was killed after the pair was shot during a home invasion. Police in Rochester, New York say a group of men opened fire inside an apartment across the street from the school. There is a search underway for others involved in the shooting. Shaun McLaughlin will go on trial later this week over not making his daughter use her cochlear implant. The mother of Emma McLaughlin-Orton, who shares custody of the girl with McLaughlin, requested the order. But Shaun McLaughlin, who is deaf, says he wants to give his daughter "her own choices in life." He faces a contempt charge in Kootenai County. KHQ-TV has this video report. A one-time student at the Maryland School for the Deaf has pleaded guilty to second-degree assault in a sexual attack on another student in a dormitory room. Tyler Dilks admitted to holding down a 16-year-old and penetrating him with a Mountain Dew and hand sanitizer. The 6-foot-2, 220 pound former wrestler for the school was much larger than the teen who was victimized. The school did not expelled him and allowed him to graduate early. The FCC is warning brocasters that it plans to step up its enforcement of closed captioning rules. The bureau is looking at the number of closed-captioning complaints since TV stations switched to digital. The agency already reminded broadcasters that a daedline has passed for submission of contact information to the FCC about who handles captioning complaints at stations. San Diego State University is shutting down its ASL/Deaf studies program by the School of Speech, Language and Hearing Sciences. The College of Health and Human Services cut $1.5 million from the school's budget. There are two dozen students in the program while there are 170 undergraduate students in speech-language pathology and audiology. The 24 students include eight seniors who have been promised enough classes for graduation. The other 16 students have to change majors if they want to remain at the school and many have lost both money and time because the credits they earned in the ASL/Deaf studies proram won't help them in other subjects. The San Diego State student government passed a resolution objecting to the change. 97% of babies born in this country have their hearing screened in the newborn nursery. Some 46% of children who failed the newborn screening test in 2007 did not have documented repeat testing and treatment, according to the Centers for Disease Control and Prevention. Hamilton will be the sole provider of California Captioned Telephone Service beginning in June. Hamilton CapTel beat out AT&T and Sprint for the job to give people who are hard of hearing an opportunity to both listen and read what the other party says during a conversation. The Aurora, California-based company will provide some new calling features including telephone captions in both English and Spanish. Financing for the program comes from the Deaf and Disabled Telecommunications Program, a segment of the California Public Utilities Commission. A social networking website for the deaf LGBTQ community is poised to launch soon. FriskyHands.com is being launched by Michael Bamford who says he was inspired after meeting deaf gay model Martin Ritchie who appeared on the Oxygen Channel reality show The Janice Dickinson Modeling Agency. The site will first offer live chat and hopes to soon add a video conferencing option as well. An Long Island middle schooler is trying to save Helen Keller's summer cottage from demolition. Ian Toy will appear before Suffok County lawmakers today and ask for $400,000 to restore the house. Helen Keller spent the summer at the house near Cedar Beach with her teacher Anne Sullivan. Here's a video about it effort. BBC officials were so impressed with a new thriller called The Silence, they decided to give it during a primetime broadcast slot. It will run in four parts sometime later this year. Filmed on location in Dublin, the drama was lead by Dearbhla Walsh, an Emmy award winning Irish director. 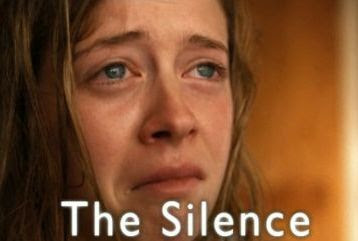 Deaf actress Genevieve Barr plays the lead role of a young woman who has recently been fitted with a cochlear implant. A graduate of Edinburgh University, she was teaching in an inner London secondary school, giving up her career to take on the role. Barr had to learn sign for some scenes with deaf actors who do. Adding to the complications, the interpreter on set came from Britain and used BSL rather than Irish sign. In the film, the girl witnesses the murder of a policewoman. The Silence attempts to show what cochlear implant users hear and Walsh made that experience central to the story. The Tennessee Aquarium is hosting Deaf Day this Saturday. Sign language interpreters will be on hand for special programs, educational presentations and events designed for the deaf community. The special day is sponsored by Gate Communications, a national not-for-profit organization serving the deaf and hard of hearing communities. The Chattanooga Walk4Hearing will also be held Saturday at the Chattanooga State Campus. The Kansas School for the Deaf is offering a show called Deaf Night Live tomorrow and Wednesday night. The Olathe school student event will include skits, deaf humor, deaf jokes and deaf literature presented in ASL. The Wednesday show will include voice interpretation. Teachers and Parents at New York City's school for deaf children are upset they are having to move into classrooms so small, they will not be able to place desks in a U-shape so that students can see each other sign. Desks can't be laid out in traditional rows in a school serving children who are deaf. Parents of students at the ASL and English lower and secondary schools say it's a mistake for the Education Department to put 100's of students from the Clinton Middle School in their building. It's one of a handful of schools in the US with sign language and English-speaking teachers in almost every classroom. In the Education Department plan, the deaf school will give five full-sized rooms in the facility to Clinton, leaving deaf students to use the building's half-sized classrooms. A West Palm Beach mother is behind bars after her daughter was discovered wandering the streets alone. The child is autistic and believed to be deaf. Julie Gramson faces charges of child neglect. Local media is reporting that she was recently released from St. Mary's Mental Health Department. Gramson claims to have been looking for her five-years-old daughter since she went missing but failed to notify police because she doesn't trust them. Authorties in Palm Beach, Florida are trying to figure out why a deaf child was discovered this morning. A driver saw the girl who appears to be about 5 years old walking along a street. 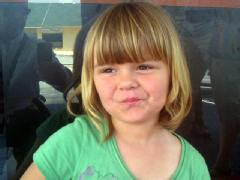 Deputies and detectives are going door-to-door in the neighborhood with a photo of the girl looking for the family. No missing child report has been filed fitting the girl's description. There's an interactive dictionary links thousands of signs to sentences illustrating how the signs change, or inflect, from sentence to sentence to show different meanings. The ASL Video Dictionary and Inflection Guide was put together by the Rochester Institute of Technology's National Technical Institute for the Deaf. The CD edition is used in many schools and has been updated for the online version. There are 2700 signs and 650 sentences signed by deaf native signers. Special attention is given to the slight inflections of some signs that can give words nuanced meaning. Access runs $40 a year. The process of hiring teachers at the Scranton State School for the Deaf employees is running into problems. The Scranton Times Tribune offers details here. A teenager in England is going to jail for posing as a deaf charity worker. 18-year-old Humovia Tansase even used sign language as she and a friend went door-to-door in Stretford asking for donations. A judge handed the Romanian a 10 month sentence but she will only spend a few weeks behind bars because she has already served four months waiting for the sentence. Prosecutors say her accomplice stole jewelery and other valuables from homes where the owners allowed them inside. Three people have filed a class-action lawsuit filed against Denver and Aurora. They say the laws in those cities that ban pit bulls violate ADA laws. One veteran's dog was seized by the Aurora Animal Care Division despite the owner's insistence that the dog is a service animal. The dog is back with the owner while the lawsuit proceeds. Even if used as a service animal, the city insists she be muzzled if he takes her anywhere. The lawsuit is asking for $75,000 and a permanent exemption to the pit bull ban for service dogs. Kris Martin hopes to one day join NASCAR. Born deaf, the 23-eary-old now has a Cochlear implant and has been racing in Ontario and the US since he turned 16. Racing officials initially tried to stop him from competing in a North Carolina Late Model ARCA race but eventually they relented and he finished 7th out of 28 racers. Hearing aid company Phonak Canada designed a special FM reciever to connect his implant to critical track information offered over the radio during to drivers during races. Martin plans to race full time in Ontario at London's Delaware Speedway to raise money for the London Health Sciences Centre's cochlear implant program. "Contrary to popular misconceptions, sign languages are not pantomimes and gestures, inventions of educators, or ciphers of the spoken language of the surrounding community. They are found wherever there is a community of deaf people, and each one is a distinct, full language, using the same grammatical machinery found worldwide in spoken languages. For example, American Sign Language, used by the deaf community in the United States, does not resemble English, or British Sign Language, but relies on agreement and gender systems in a way that is reminiscent of Navajo and Bantu." A Wisconsin priest who works with the deaf community is being transferred. WLUK-TV in Green Bay has this video report. Charl de Villiers became deaf as a child after taking antibiotics in a South African hospital. As an adult he moved to Texas to escape the unrest and violence in his homeland. When co-workers looked down on him, misinterpreting his deafness as inability or ignorance, de Villiers decided to make a statement. He planned to becomes the first deaf person to sail around the world alone. And he did just that, leaving from Palacios, Texas and returning 289 days later. Several hundred people greeted him on his return, dowsing him with champagne, and hoisting him up on their shoulders. A documentary called Silent Voyager tells the de Villiers story. A class action lawsuit accuses the state of Pennsylvania of discriminating against the deaf and mentally challenged. The charge stems from the experiences of a deaf man named in the suit as Harry M. who was placed in a home with a staff that does not know sign language. A friend of his filed the lawsuit, saying all deaf retarded people in assistance programs suffer because the state fails to accommodate their needs and forces them to live an isolated life. Most of the some 1600 deaf recipients of mental retardation services in the state live in homes with staffs who either do not know sign language or know very little. Deaf motocross champ Ashley Fiolek talks about the importance of faith and her new book about her life. You can support the Starkey Hearing Foundation mission in Rwanda by attending the Art & Wine Auction in Los Angeles, June 2. For more information write to StarkeyArtEvent@aol.com. A Wisconsin priest who works with the deaf community is being transferred. Father Guy Blair is being moved from St. John the Evangelist in downtown Green Bay to St. Paul's Church in Combined Locks. Members of the church met with someone from the Catholic Diocese of Green Bay last night to express their concern over the change while several hundred parishioners gathered for a prayer vigil. Members are upset that they were not asked about the impact of such a move and that the Catholic church has a history of neglecting deaf members. There are only 15 priests around the country who signs while leading mass. Arkansas Senator Mark Pryor is planning to propose legislation today that would require technology companies, phone manufacturers and Web vendors to adapt their products to deaf or blind customers. The Democrat chairs the Senate subcommittee on consumer affairs. The Equal Access to 21st Century Communications Act would require smartphones like the Blackberry and iPhone to be compatable with hearing aids. DVRs and mp3 players would also have to support closed captioning. Teachers and students from the Arkansas School for the Deaf and the Arkansas School for the Blind in Little Rock joined Pryor for a news conference on the bill yesterday. 13 teams recently competed in the National Deaf Basketball Organization's national tournament in central North Carolina. Here's a video about the competition from WGHP-TV in High Point, North Carolina. The University of Kansas student newspaper profiles the school's deaf interpretation coordinator here. An Atlantic City, NJ paper profilea of a deaf rower who's crew team uses sign language to communicate here (video included). A reader to the Rochester, NY newspaper offers a cautionary essay about her experience with cochlear implants here. Gallaudet's baseball team got to met the President and the New York Yankees last week. The Bison joined the ceremony in the East Room of the White House last Monday that honored the Yankees for winning the 2009 World Series. Gallaudet coach Curtis Pride played for the New York Yankees in 2003. Motocross champ Ashley Fiolek talks about new book Kicking Up Dirt in this video and how she's adapted to the track despite being born profoundly deaf. The FCC has issued a Public Notice reminding Video Programming Distributors to register their captioning contact information. The information was due by March 22 but the notice suggests many organizations have not complied. Distributors who fail to comply will likely face fines. The new FCC closed captioning rule requires video programming distributors to pick a contact person for handling immediate closed captioning concerns and a contact person for receiving written captioning complaints. This information is to be posted on Web sites and submitted to the FCC. This information must be within 10 days of being current. The Commission plans to maintain a database open to the public. A federal appeals court says theater owners must accommodate those with hearing disabilities in order to comply with ADA law. The 9th Circuit Court of Appeals ruled unanimously against the Harkins theater chain which had argued that federal law does not require them to use the necessary equipment. The Arizona Attorney General's Office filed the suit four years ago. At that time, not one of the company's 262 screens offered "closed caption" technology. Sign language is helping researchers better understand the origins of language. University of Rochester scientists checked the brain scans of native signers while watching other native signers communicate 24 sentences twice in ASL. The first run through emphasized word-order arrangement, while the next time would depended on inflection for understanding. It turns out, different parts of the brain are used for each type of communition. The finding may support the idea that it was trade between different groups of early humans that got the brain working on language. This would also mean that language is a much more recent development than many experts believe. The Maryland School for the Deaf took the top prize in the 14th annual National High School Academic Bowl for the second year in a row. They defeated the Metro Deaf School/Minnesota Star Academy team. Sixteen teams competed in the two-day event at Gallaudet University in Washington, DC. Each match has three rounds, consisting of a 15-question tossup round, a team round in which each member is asked questions individually, and a final round of 10 questions on one subject. The three months of regional competitions leading up to the national event involved 76 teams of deaf and hard of hearing students from all-deaf, as well as mainstream, high schools all over the country. The three highest ranking teams and one at-large team participated in the national contest. Read more here. Most musicians don’t realize it, but as the volume goes up, the length of time the ear can tolerate the exposure decreases exponentially. The human ear can only take so much sound for so long. Dr. Theresa Schulz is president of The National Hearing Conservation Association says noise-induced hearing loss is something that happens slowly and then it’s too late to do anything about it. The human ear can withstand about 85 decibels of sound, for eight hours at a time. That’s the level of a factory. But at 100 decibels, damage to the ear can happen after just 15 minutes. Then answer is giving the ear regular rest. A new Bible for the deaf is in the works from Wycliffe Bible Translators and Deaf Opportunity Outreach International (DOOR). The two groups are working together to produce a version of Scipture in video form for a variety of sign languages around the world. There is a New Testament in ASL and a version for the Old Testament is being developed now in ASL by Wycliffe. The organization says there are more than 200 different sign languages being used in the world and some 70 million people worldwide communicating with sign language.